Gilmour Knights manage and score the KofC Free Throw Contest for the students of St Paschal Baylon School, St Francis of Assisi School, and Corpus Christi Academy. The contests are the first round of the KofC state tournament. Students compete by age, with 15 free throws apiece. Winners move on to a District qualifier, which is often also manned by Gilmour Knights. Time commitment is typically 3 hours per school, and the event is usually held within a one-week span on a Monday, Wednesday, and Friday. Knights may participate at any or all of these contests. In 2019, a total of 329 students matched their skills against their age-mates. Two, a boy at St Paschal and a girl at St Francis, were a perfect 15-15. 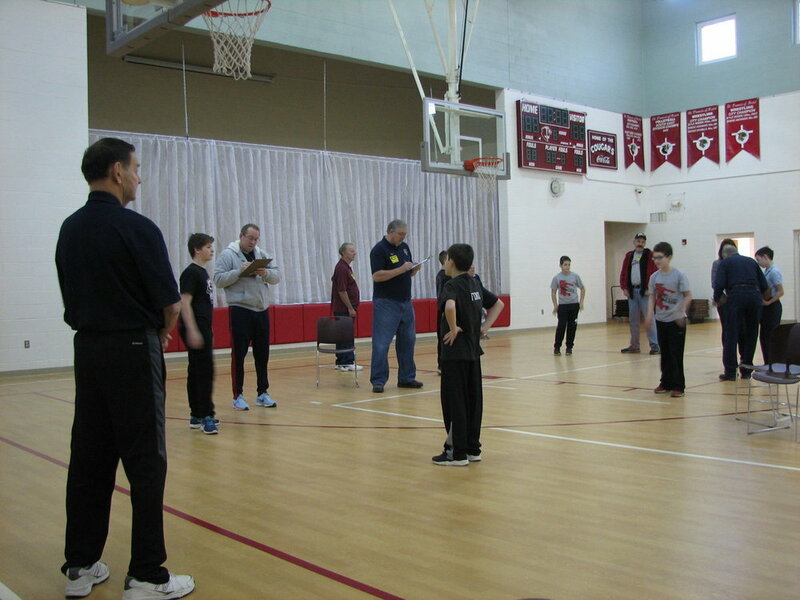 Winners in each age group were eligible for the Districts at Sacred Heart of Jesus in South Euclid on February 16.